Four years after Google introduced the arrows to scroll Google AdSense ads across most ad format, Google has just removed them. I am not sure exactly when it happened but it was sometime over the weekend. I am also not sure if this is a bug or a change to how Google AdSense ads behave. Here is the before and after shots. 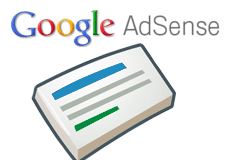 In fact, Google started testing scrolling AdSense ads back in December 2007 and has stuck with it since mid-2008. So to drop it four years later seems interesting. AdSense publishers are not sure what to make of the arrows not being there. I do wonder how many users actually clicked on the arrows, I bet it is something like 0.000001% of users.